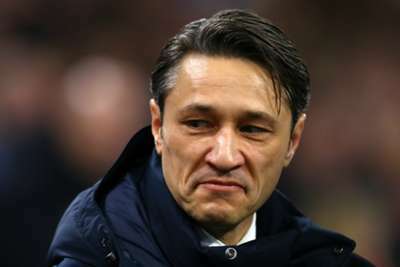 Bayern Munich boss Niko Kovac is excited to go up against Liverpool's "great coach" Jurgen Klopp after the two sides were drawn to face each other in the Champions League. The European heavyweights will contest two legs in one of the last-16's showpiece ties, with the first meeting at Anfield on February 19 before the return fixture takes place in Germany on March 13. "This is a great draw, a top-level clash," Kovac said. "They have a great team and a great coach. They lost the final last year unhappily. For me, this is an anticipated semi-final. "I'm looking forward to the game at Anfield. Having the second game at home is a small advantage. The odds are 50-50, but in two months many things could happen. "Let's see what happens. We want to go toe-to-toe with the best teams." Meanwhile, Bayern president Uli Hoeness was re-elected to serve another four-year term as chairman of the club's supervisory board at Monday's annual general meeting. "Uli Hoeness is Bayern. He has always been a fighter and the club needs him now more than ever," the former Croatia international said. "The fact that he wants to continue for four years shows his love for this club."